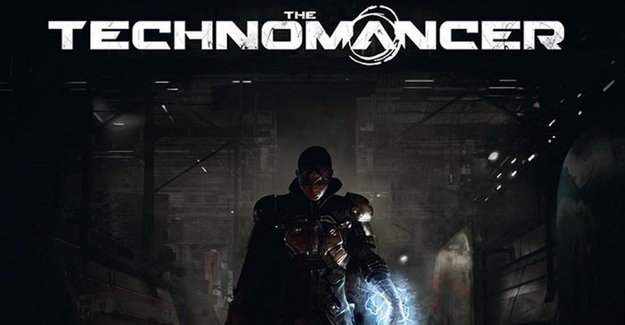 If you feel like you're running out of things to play on your PC, PS4 and/or Xbox One, then The Technomancer might be something to pique your interest. A new post-apocalyptic themed RPG will be making it's way into our homes, but it will be taking us to visit Mars during what the developers call, the "War of Water". Wars on Mars? Sounds pretty interesting already! The new title will be brought to us from the developers of Bound by Flame, Spiders. The name alone doesn't really give us a lot of insight about what might be going on inside of this, other than it has something to do with technology, magic and a war on Mars. The developers did give us somewhat of a hint though, when they said that our character's "future grows threatened by the secrets of his past." I'm sure we're all now wondering what these secrets are, and why they're so important. As we play through The Technomancer, we'll get to experience action-oriented combat spread across four different skill trees to improve three different fighting styles. Space, magic, technology, AND fighting?! This game sounds like fun! If you're getting worried that the game might be focused a little too much on the action aspects, don't worry. Spiders also said that the game will feature "dynamic conversation dialogue." This means the game will follow similar mechanics to the popular Mass Effect series. Your choices in these dialogues will have an effect on different things in the game, such as relations with other characters in the game, weapons for yourself and weapons for your in-game companions. As you play through the game you'll also be able to level yourself up along with your companions, weapons and other items. For those of you who're worried that items and companion quests will just become redundant after a while, don't fret. The game features a dynamic crafting system that will change the appearance of the weapons used and there will be up to five different endings for a plethora of the quests available. Different endings will also result in different rewards for your efforts. This game sounds like it'll be a lot of fun to play, and work through. A mysterious character fighting in a war which will slowly help us reveal the secrets not only about ourselves, but our companions too. How many of you think you'll be picking this game up when it comes out for PC, PS4 and Xbox One in 2016? Let us know in the comments below! Also, a shout out to Jedi for the topic.